Leading Manufacturer of beetroot powder packaging, coriander powder packaging, garam masala packaging, turmeric powder packaging, black pepper powder packaging and matcha powder packaging from Vadodara. Swiss Pac India is counted among the leading manufacturers, exporters and suppliers of a distinct assortment of spices packaging bags. These bags are designed and developed using premium quality of raw materials and latest technology. To meet the variegated requirements of customers, we offer our range of spices packaging bags in a spectrum of designs, finish, colors, patterns, sizes and materials. These materials are helpful for retaining the color, flavor, aroma as well as the freshness of the various spice products like turmeric powder, chili powder, coriander powder and many others. The shelf life of the products would also be elongated for a long period of time. 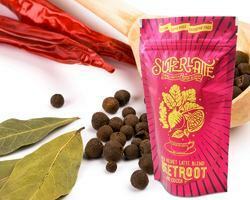 We offer various styles for spices packaging like jute look high barrier bags, Kraft look pouches, and storezo bags, stand up pouches, flat bottom pouches, side seal pouches and many others. We offer these bags at the most reasonable and affordable rates. So our spices packaging bags are highly acclaimed for their high durability standards, excellent tear resistance strength and remarkable quality. 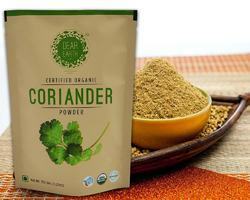 We are offering Coriander Powder Packaging to our clients. 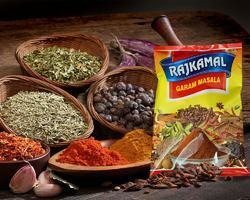 We are offering Garam Masala Packaging to our clients. 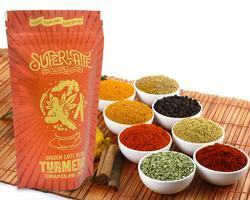 We are offering Turmeric Powder Packaging to our clients. 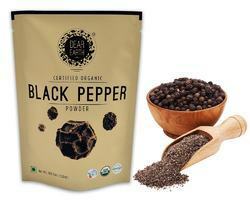 We are offering Black Pepper Powder Packaging to our clients. 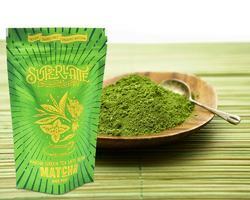 We are offering Matcha Powder Packaging to our clients.